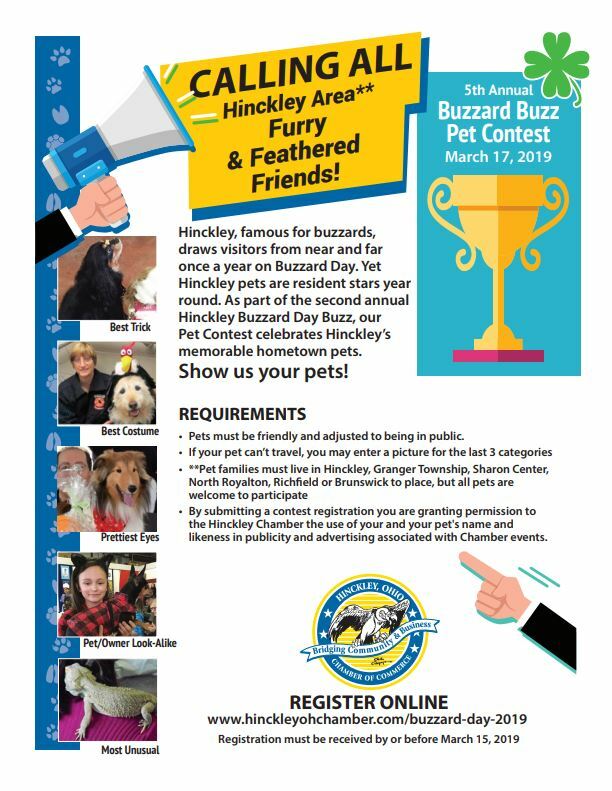 Hinckley, Ohio is famously known for its annual Buzzard’s Day celebration in mid-March. 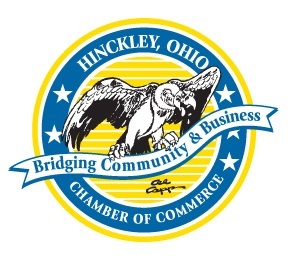 The world-renowned event is proudly sponsored and organized by the Hinckley Chamber of Commerce, comprised of local residents and business-owners invested in this vibrant community located mid-way between Cleveland and Akron. 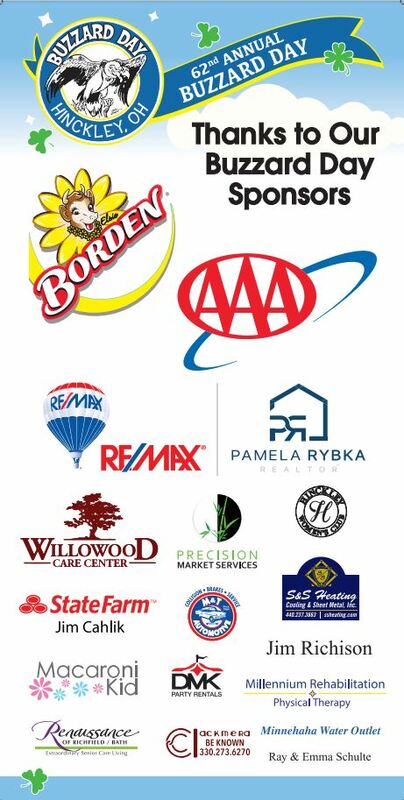 Proceeds benefit local scholarships. Calls go straight to voice mail. Please leave a message so your call can be returned. The Craft Fair, in the Hinckley Elementary Gym open from 7:30am to 4:00pm, is where a variety of vendors may sell products or services. 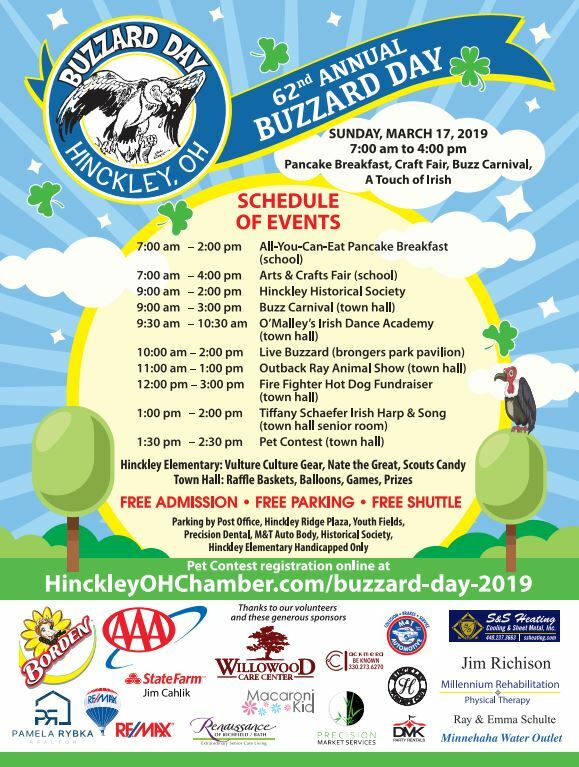 The Buzzard Buzz Carnival happens at the old fire station bays adjacent to Town Hall, 9:00am to 3:00pm. Here, companies entertain families with games and activities, and may hand out sales materials. 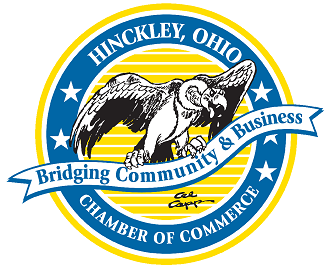 No food sales are permitted, except for non-profits such as Girl Scouts or the Hinckley Fire Association.